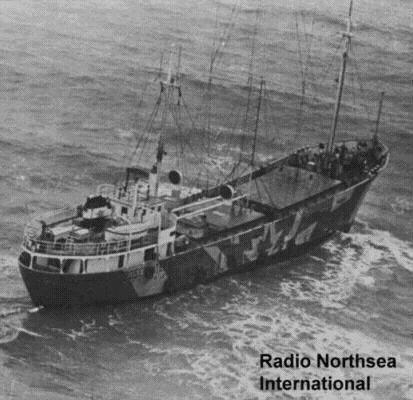 Radio Northsea International broadcast from the MV Mebo II (pictured) anchored in the international waters of the North Sea from the Dutch coast, then the English coast, and latterly the Dutch coast from 11/2/70 until 30/8/74. 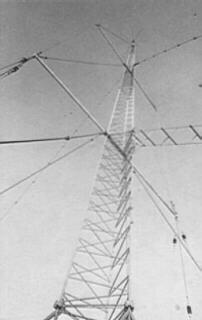 Various frequencies were used on the AM, FM, 49 metre and 31 metre SW bands simultaneously. The station had a fantastic sound with great jingles, superb presenters and a very popular international music format. 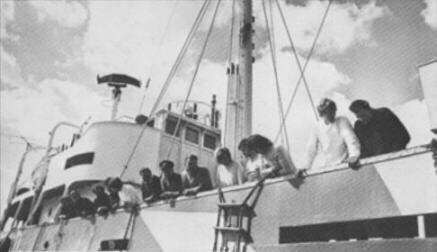 It had a very chequered history and suffered, amongst other things, jamming of the signal by the British Government from a naval station in Rochester, Kent, a fire-bomb attack setting the ship on fire and an attempted hijack. All these events are captured in our archive recordings. 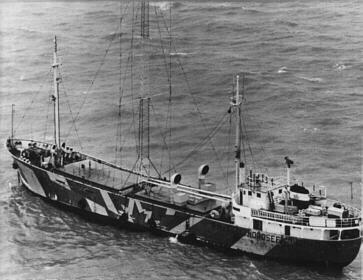 The station has made a couple of very successful revivals recently by way of 4-week RSL broadcasts from the light vessel LV18, renamed the Mebo 3. The museum has various superb examples of these transmissions. The MV Mebo II leaving Slikkerveer, Holland, for the North Sea. 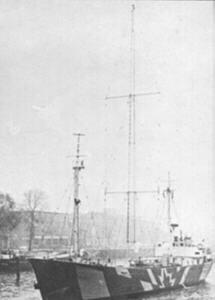 The 52 metre high aerial mast. 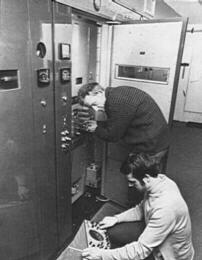 The 105 kw medium wave transmitter undergoing a frequency change. 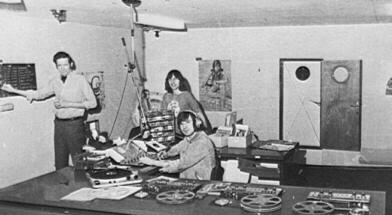 The main studio with Duncan Johnson, Roger Day and Andy Archer. 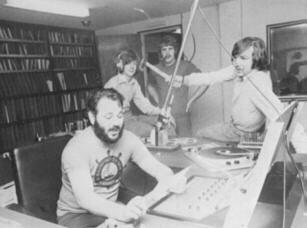 Larry Tremaine on air, with Michael Lindsay, Spangles Muldoon and Andy Archer. A moment's relaxation on deck. 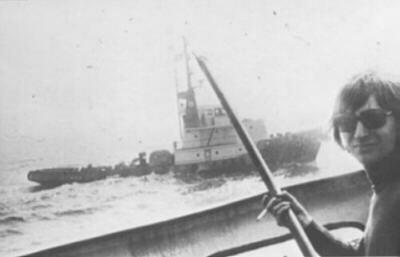 Repelling the tug Husky which tried to hijack the ship. MV Mebo II at anchor in the North Sea. Click here for RNI Top 50, 17 Aug. - 24 Aug 1974.